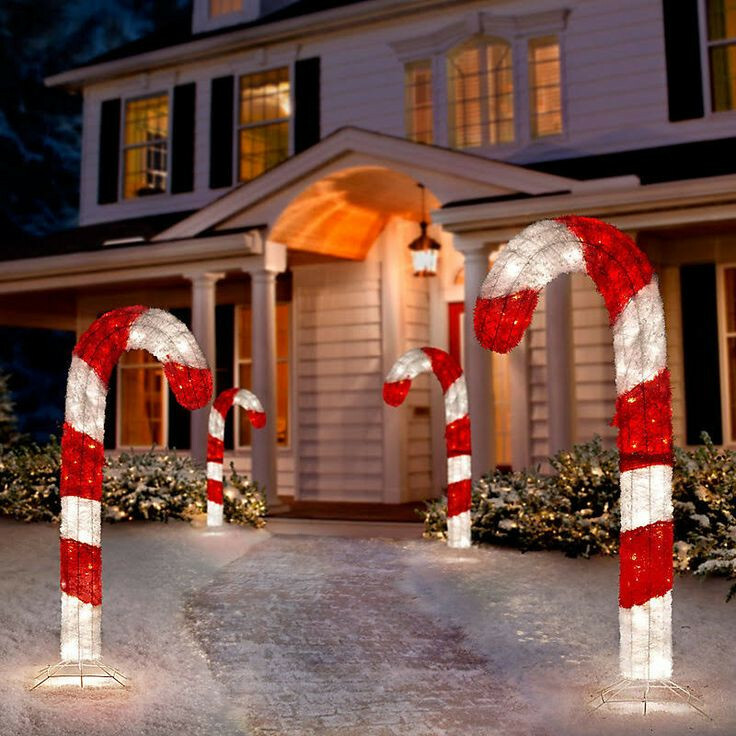 The 3D Lighted Candy Cane is a sweet way to show your holiday spirit! This cheerful, 4' 3D Lighted Candy Cane is charmingly crafted of long glittery tinsel material with crystal beads. Each 4' candy cane sparkles with 100 incandescent mini lights and can be grouped together or placed in a row to highlight a driveway or path (stakes included). For use indoors or out. Imported.